Greetings all and happy Christmas Eve. Lettucebrain is all about using your brain, so it may come as a surprise that I am giving some Christmas music recommendations here. But I assure you, any allegations that I am violating the nature of the blog are unfounded. As a matter of fact, music stimulates your rostromedial-prefrontalcortex. I have always thought one of the most interesting phenomena in existance was music. How does it work? Why does some music make us happy and sad? Why does one cultures happy music sound angry or sad to another culture? Why does music work? Radio la fraunce. daunce et la trauce! Puls radio. Puls Radio! PULS RADIO! P...P...P...P...P...P...P...PULS! Mein ganzes Leben als Student sagten die Lehrer immer daβ man sich nie auf die Daten von Wikipedia verlassen solte. Die meisten Enzyklopädien sind von Redakteure geprüft, aber Wikipedia ist von normale Menchen geschrieben und geprüft. Jeder kan Fehler reperieren, und neue Daten hinfügen. Und stadessen als eine Mitglieder Revision wird das Artikel hunderte bis tausende mal jede Woche nachgeprüft. Diejenige die sagen das eine selbstmoderierte Enyzklopedie kein Experten Zeugnis hat wiβen anscheinend nicht das alles das man in ein Wikipedia artikel einschreibt muβ von Fuβnoten abgestimmt werden. Eine oder mehr Forschungspapiere stimmen zu das Wikpedia genau so viel Genauigkeit wie eine editierte Enzyklopädia hat. Vieleicht stimmen die Professoren nie zu, aber Sie können sich drauf verlassen das die Daten sie bei Wikipedia finden verlesslich sind. Wenn Sie immer noch nachprüfen wollen können sie auch die Fuβnote folgen um die Wahrheit den Daten zu bestätigen. Wikipedia ftw! Which came first? The Chicken, or the Egg? "These supporters call attention to the Merriam-Webster Collegiate Dictionary (2001). Upon careful examination of the entries and accompanying definitions, one can accurately assert that 'chicken' is found on page 232, while 'egg' is not found until page 398. Therefore, according to this argument, chicken clearly comes before egg." Randy Garner (2003). "Which Came First, The Chicken or The Egg? A Foul Metaphor for Teaching". Radical Pedagogy. 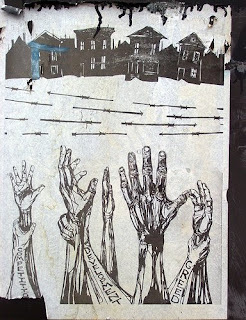 ISSN 1524-6345. http://radicalpedagogy.icaap.org/content/issue5_2/04_garner.html. The end times, are they near? We now have the fullness of the Scriptures, the last of the prophets was John the Baptist (Matthew 11:13). The Old Testament was given by the prophets, and the New Testament was given during the time of transition from the old covenant to the new covenant, and was given by the apostles. The apostles are all dead, and so are the prophets. With the end of the days of Christ on Earth, and the reception of the Holy Spirit, we have been in the last days since the day of Pentecost. The Last Days is the time between the time of Christ and the Second Coming. The Last Days will continue until the day of judgement, which will not come until the fullness of His sheep are gathered into the fold (2 Peter 3). History is divided into three sections; the first is Eden, beginning with the 144 hour transition period of creation, the second is the Old Testament, beginning with the transition period of The Fall, and the third is the Last Days, beginning with the transition period of the Time of Christ. There is a fourth period, Eternity, beginning with the transition period of the End Times or Final Judgement. Eden established what harmony with God is, and displayed how things should be. The Old Testament established and displayed who God is and who humans are, the distinction between sin and righteousness, the wrongness of sin, the greatness of God, and the distinction between Israel and non-Israel, clean and unclean, God's chosen and the Sons of Perdition, saved and unsaved; preparing the way for Christ, displaying the need for Christ, and proclaiming the coming of the Messiah. The Last Days are the time of the gathering of God's people, Christ has come, redemption and salvation has come, the sacrifice has been made, the Law has been given, and fulfilled; the time of God's people coming to Him and awaiting the coming of Christ. In the Last Days, Christ has come and established His spiritual kingdom, and with His sacrifice purified unto Himself His bride, the Church. We are now gathering the Elect and awaiting the Marriage Supper of The Lamb. People feel as though the Final Judgement is soon, the End Times are nearly at hand, and the Second Coming is immanent, and so it is, but in light of the duration of eternity, any finite time is well nigh nothing. Even in the Time of Christ, 2000 years ago, they thought that the End Times were soon. It is unknown for certain how old the Universe is. If we are to accept the reasonable calculations performed by the Bishop of Usher, the second period of history is approximately 4000 years. According to historical records, such as the Anglo-Saxon Chronicle, we are now about 2000 years into the third period of history. It is unknown how long the first period was, for the Biblical account of the length of Adam's life says he lived 130 years, and begat Seth (Genesis 5:3), but the term for "lived" means "could have died", so therefore is not the number of breathing years, but the number of breathing years while mortal, and so the clock starts with the fall, and the time in Eden before the fall is unknown. We assume it was a brief time, and logically it would seem so; the purpose of Eden, and the Biblical account of the events in Eden, do not necessitate very much time. Eden was a preparation for Old Testament times, and Old Testament times was a preparation for the Last Days. The Last Days is the most important period of history, for all the rest is preparing for the Last Days, when God's Church is on the Earth, gathering the harvest, preaching the gospel, and redemption is available, with the Messiah come and His prophesy fulfilled. Before the Time of Christ, history was preparing for Christ. History has been making ready for the Last Days. Although we seem to think that the Last Days should be a short time, what if it is actually the longest time in history? The other times are periods of transition or preparing, the Last Days is it. Although it is popular to think that the Last Days will end soon, what if they last for another 10,000 years? That would make the Last Days a period of 12,000 years, three times as long as its preparation era. If the Second Coming is not going to occur until the fullness of the sheep are gathered, and the first two periods of history are preparation for the Last Days, and the Last Days is the time of the gathering, wouldn't such a time be the longest, with the most significant time of history being the gathering of the sheep? Why must the Last Days be a short time? Why not the longest period of history? According to the almighty Wikipedia, economic growth is “the increase in the amount of goods and services produced by an economy over time.” This is the reason why governments around the world feel the compelling, yet horribly misguided, need to bailout failing industries. After all, as long as we sell more stuff, even if it is worthless crap, our economy is growing, or is it? Let’s say I have my own country, and for some stupid unknown reason I made it similar to most of the countries around the world today except that I am supreme overlord and everyone must obey me. One day I wake up in the morning and decide that I want to “grow my economy.” Immediately, I send out an order to all the factories and plants in my evil corporatocracy to double or even triple production. After a week the market is saturated and will not accept any more shipments of my crappy products and my economy starts to stagnate. As a diligent follower of flawed economic theories, I realise that I must not be producing enough garbage, and give the order to use my country’s petroleum deposits to create thousands of crappy plastic toys. For close to a year I attempt to turn my economy around, but the market is just too saturated, and other countries have begun to make a higher quality product than ours. My countries economy collapses, all the capital flows out of the country, I exhausted all my natural resources, and everyone starves to death and dies. Growth is not making more junk. The corporations use advertising to convince us all to buy crap we don’t want or need, and call it economic growth. They have even gone so far as to adapt their brand names to become verbs in our languages. In order to produce this worthless garbage, we spend hours working in the economy, probably for minimum wage, so that we can produce junk that the corpocapitalistic swine will sell back to us at costs way above the actual resource cost. Just because we are not making more and more junk, and exporting more and more worthless crap, does not mean we don’t have a good economy. A good economy is an economy that creates products people need: products that don’t have to be advertised as subliminal messaging for 0.1 seconds every ten frames in a movie. Refrigerators are a brilliant invention; advertising is hardly needed in order to sell every family a refrigerator, because the product arises from a felt need, not a rancid lust for economic “growth.” By artificially growing our economy, and depleting all our resources, we are making our quality of life worse, not better. The less crap our economy produces, the less time we need to spend at work slaving away for our corporate masters. I don’t care about Tickle Me Elmo,” “Digimon cards,” and all the other low priced, low quality, junk out there. That’s why we have imaginations. No one needs 5 different game systems all to themselves. Isn’t it good enough to share them between 20 people? Everyone wants their own of everything, despite the fact that these items often sit idle more than they are used! If we tune out the advertising and reign in this rampant corporatism that pervades our society we can actually improve our quality of life. The things we truly need will abound, no one will go hungry, and we will spend half as much time working to put bread on the table, and twice as much time inventing, reading, exercising, socialising, and doing things for our own pleasure or the unselfish benefit of others. I believe that it is possible for us to enjoy a quality of life twice what we have today despite working only 20 hours a week. [Stop reading now if you are easily offended by vulgar language] In conclusion fμ©К corperate capitalism, and fμ©К the selfish greedy bastards who know that the only economy they are growing is the wallet in their own pocket while everyone else suffers in order to make it possible. An additional note: someone is bound to make some sort of comment about how people will never produce anything or work hard without selfish interest. Not so! Look at the Creative Commons community online, look at this blog, look at the people who edit Wikipedia. Are any of them receiving something for their work? At most they are receiving a little bit of ad revenue. How about people volunteering at soup kitchens, homeless shelters. You only entertain the notion that the current state of things is good because one day you hope to be the evil master lording over his economic slaves mercilessly. I hate to spoil it for you, but your chances are pretty low. More than likely you are going to end up working an average job getting paid way less than your labour is worth so the CEO can purchase his fifth Bently. Everyone knows what they are. The little brightly painted boxes, often hidden behind tree branches or on bends only making themselves known with a bright flash to let you know your out $20. The target of years worth of vandalism by frustrated motorists, the hated Gatso may have some redeeming qualities after all. Older drivers are six times more likely to be fined for speeding than a decade ago, according to a study which also reveals that young motorists have adapted far better to the increased use of speed cameras. The number of older offenders may be higher partly because, unlike a police officer, a speed camera has no discretion, the study author says. Most speed enforcement a decade ago was carried out by traffic police, who often gave older drivers a verbal warning rather than a ticket. The Department for Transport commissioned the Transport Research Laboratory (TRL) to analyse the age of offenders in two three-year periods: 1997-99 and 2003-05. It found that the number of men aged 60 and over receiving penalty points for speeding increased by 540 per cent between those periods. Among women aged 60 and over, there was a 1,200 per cent rise, though starting from a very low base. By contrast the number of drivers under 25 being caught for speeding grew by only 18 per cent. The study, based on an analysis of the records of 300,000 motorists, also showed that in 2003-05 there were almost three times as many drivers aged 60 and over with speeding convictions as drivers aged under 25. In the 1997-99 period, young offenders outnumbered older ones by more than two to one. The age group most likely to have a speeding conviction changed from 24-34 in the earlier period to 45-59 in the later period. 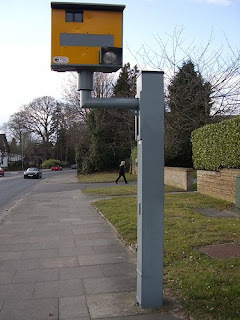 The number of speed cameras increased from fewer than 500 in 1997 to about 5,000 in 2005. The increase was partly due to changes in funding rules in 2000 that allowed police to keep a proportion of fines to pay for the cameras. That system, known as “cash for cameras”, was abolished last year. Speeding convictions from cameras grew from 337,000 in 1997 to a peak of 1.91 million in 2004, before declining to 1.74 million in 2006. Jeremy Broughton, author of the study, said that the low number of older drivers being prosecuted for speeding in the 1990s might be explained in part by police showing more leniency to them than to young drivers. “Police would have a mental image of the sort of person they were expecting to stop and if it was an elderly lady they wouldn’t look at her in the same way as a young male,” he said. Rob Gifford, director of the Parliamentary Advisory Council for Transport Safety, said that older drivers had been accustomed to driving on roads without cameras and would have found it harder to adapt when they spread across the country. Mr Gifford said that the rise in older speeding offenders helped to explain the emergence of a vociferous anticamera campaign dominated by drivers in their fifties and sixties. Yes, you heard right. No more free ride for old folks. Young drivers so often serve as a scapegoat for all traffic problems, when in reality new drivers of any age, and old people who are starting to lose their edge should also take a portion of the blame. Mechanical devices don't distinguish between drivers, all they see is a speeding vehicle and dole out fines to everyone who deserves them regardless of age. Having said that, the installation of cameras also places a duty on traffic engineers to ensure that the speed limit for a given road is appropriate. An appropriate speed limit would be the fastest speed that a driver can drive in optimum road conditions while still being safe. Most traffic engineers disregard this and post more of an "advisory speed" than a speed limit, with the full knowledge that the posted limit will be regularly, and safely exceeded. This should not be the case. Post the real limit, and set the cameras to flash at 10-20 kph above that. One of the commentators on the original article made a valid point pointing out that speed cameras are not able to enforce the real dangerous road behaviors like mobile phone use, non-use of directionals, and tailgating. Perhaps rather than enforcing speed limits fairly we should disregard them except for the most extreme cases, and focus on the real dangerous behaviours. Oh, that bit about "environmental purposes" is rubbish. We could easily design cars with a petrol consumption curve that is most efficient at 100-140kph. All it takes is for the manufacturers to change the gearing a little bit. NOTE: I am under the impression that my quoting of the article above falls under the category of fair use. If you believe I am infringing on your intellectual property, something I don't believe exists, please contact me. Ahhhh, the inaugural post, and so often the only post. Its amazing how many blogs get abandoned only minutes after they are started. But this time it's different. This time I have friends. I realized that I myself do not have the posting volume to keep anyone entertained, so I have recruited a team of specialists to help me keep this space populated with mind melting brain benders and ideas. Politics, philosophy, theology, societal critiques, are all fair game, and the more confusing and far out the better! For those of you who haven't yet said, "Lame, I actually have to use my brain for a change," I have devised a fiendishly interesting query. It centres around the Turing Test, invented by Alan Turing in the fifties as a means for distinguishing between real and artificial intelligence, if indeed such a distinction exists. If you are not already familiar with the test, you can read about it here. Assuming you understand the basic premise of the test, what question(s) would you ask in order to determine whether you were speaking with a computer or a human being?